What could be so exciting about lighting up a camping stove? This weekend I’m taking my wife on her first-ever bike camping jaunt. 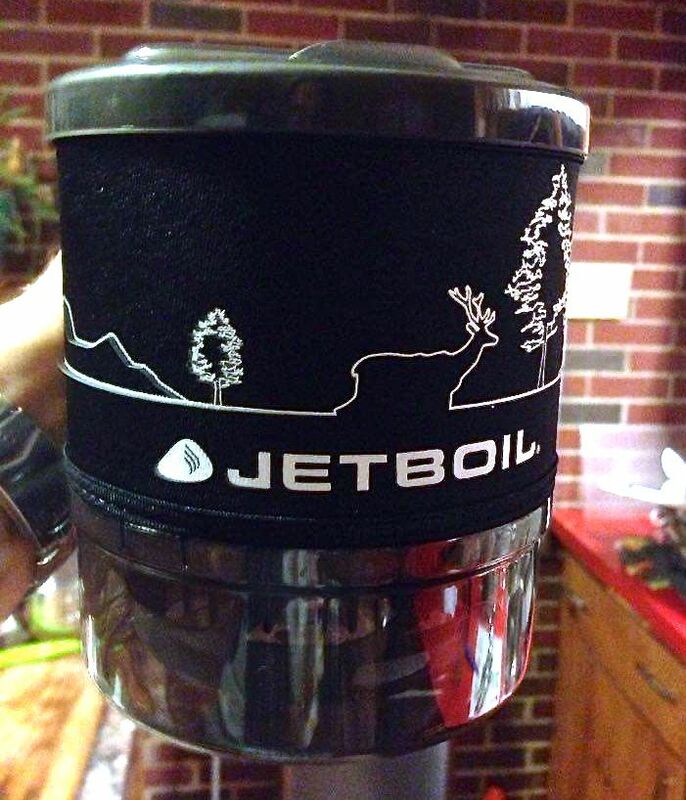 In preparation, I recently ordered our first backpacking stove (a JetBoil MiniMo). When it arrived, and I’d unpacked it and was about to fire it up, I I got pins and needles, like a five-year-old on Christmas. It was more than just the enjoyment of a new gadget, something cool and mechanically flashy (which the JetBoil certainly has got going on). It wasn’t the glitz of a new acquisition. Readers of More Sky Better already know my [[mixed feelings about that dynamic. Mostly, it was the fresh awareness that the moment we initiated the stove, we would be totally untethered from our house, our town, our whole daily ritual. If this device works, goes the thinking, we can go anywhere on God’s green earth and be assured of a hot meal and steaming drinks. And we won’t have to lug a kitchen stove along or spend 30 minutes getting a cooking fire up and roaring. Just push the button, turn the knob… and whoosh, you’re cookin’ with gas. So, what happened when we pushed the button and turned the knob? Friday afternoon, we’ll pack everything we’ll need for three days (and not a thing more) into bulging bags on our bikes and wend our way a couple hours north to a campground along the Connecticut River. And Friday night? Our first stove-cooked camping meal. We won’t spend 25 minutes gathering the fuel for it. It won’t have taken twice as long as it should to cook, and it won’t taste like charcoal. And we won’t be hot, tired, or reeking of woodsmoke when it’s done. I do feel a twinge of nostalgia for the old-school backwoods experience. And we’ll still cook on the fire when we’re car camping. Nothing beats the taste of coal-roasted corn or campfire s’mores. But we’d like to get more into bike touring now, and the first time we ride into camp after sundown, exhausted and hungry, that newfangled stove will pay for itself. And breakfast the next morning will be ready in minutes. That alone is worth the trade-off in authenticity. So, I'm excited. To cook on a stove. A one-pound stove, that comes out of my bike bag.